We are located on the hillside east of Canada Olympic Park. 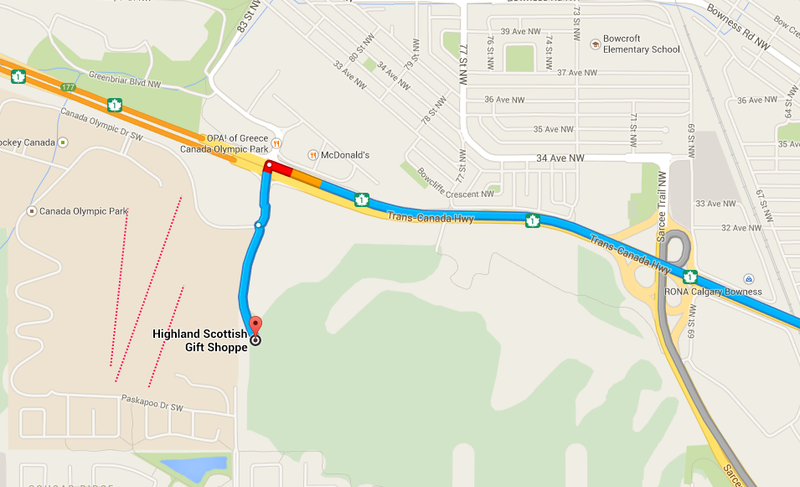 The only way to access The Highland Shoppe is via the Trans Canada Highway (16 Avenue). Turn off at Canada Olympic Drive and follow the orange signs that will take you through two traffic circles. Follow the paved road up the hill to our gates. Don’t let the old road maps keep you from finding your Scottish roots. The road to the Highlands is clearly marked once you turn off the highway.